Enter the working studio of artist Stephen Haigh, a master in the ancient art form of Marquetry. Haigh incorporates the traditional artistry of this medium, inspired by the natural grains and colours of wood, with a contemporary approach, using textures, tones and veneer palettes to create intriguing pieces of art. 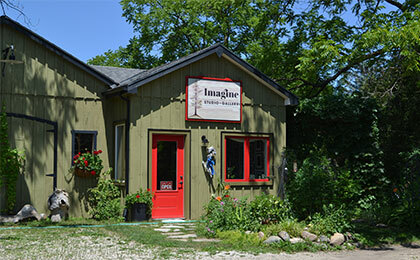 Imagine Gallery Studio is a wonderful introduction to the artist’s creative process and the unique craftsmanship of his vision.